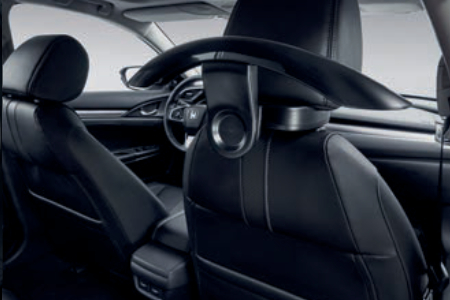 Honda genuine accessories have been designed and built to the same exacting standards as every Honda, so the accessories you buy for your Civic Sedan are of the same quality. They are durable, safe, secure and guaranteed to fit. All you need to do is choose what’s right for you. If you cannot find what you are looking for, please contact us today. 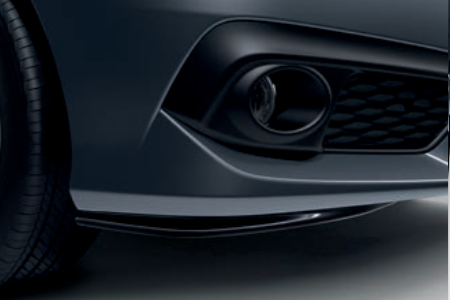 Give your Civic a more purposeful and dynamic edge. Pack includes: Berlina Black front skirts, lower door decorations, Berlina Black rear skirts and boot lid spoiler. 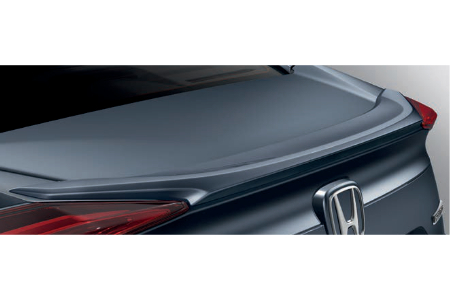 The sleek colour coordinated boot lid spoiler adds extra sporty style to the rear of your Civic. 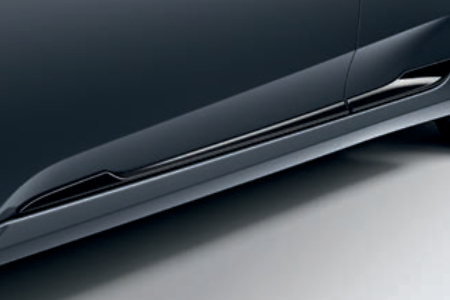 Black lower door decorations emphasise the Civic’s dynamic styling. Chrome lower door decorations add a touch of refinement to the side profile. 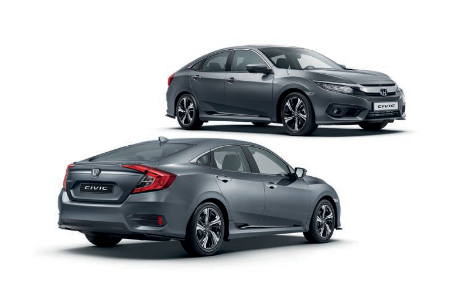 These eye catching front and rear skirts emphasise the Civic’s striking profile. 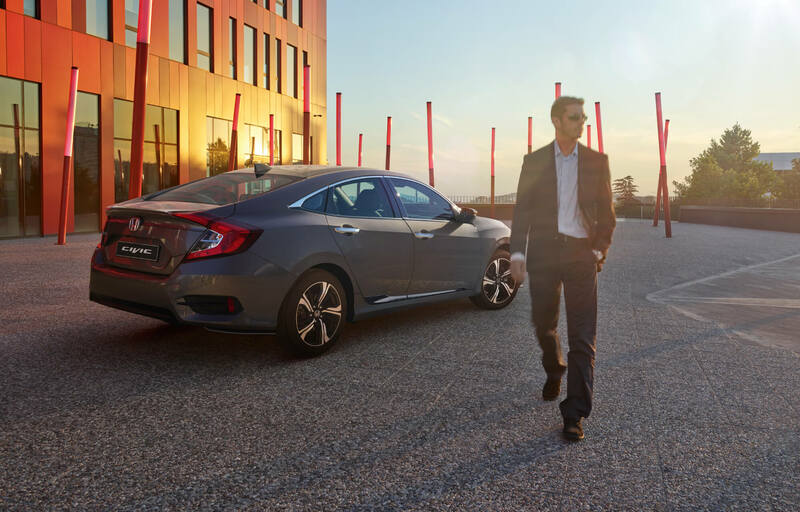 No more creased coats or jackets, so you can arrive as smart and stylish as your Civic. A neat idea that allows you to tidy items away and out of sight. 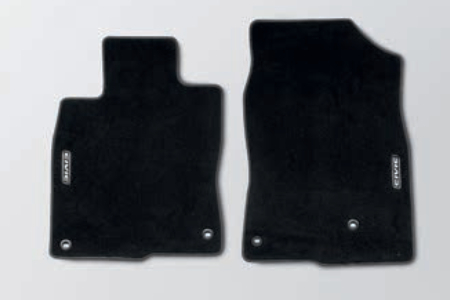 These elegant and comfortable fitted carpets have black binding for durability and a stylish woven Civic emblem. 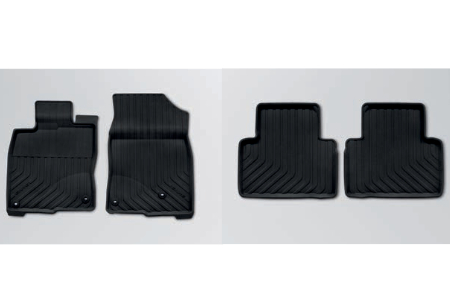 Pack includes: front and rear mats. Keep your interior neat and tidy with this clever space saver. 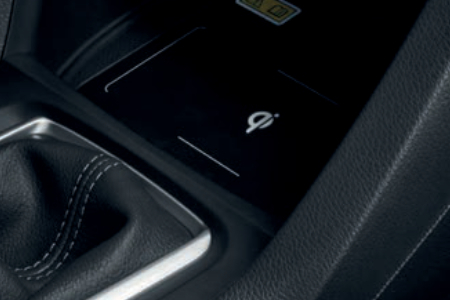 By opening the doors and turning on the headlights the front footwell becomes illuminated giving a soft, cool, calm glow to the interior of your car. 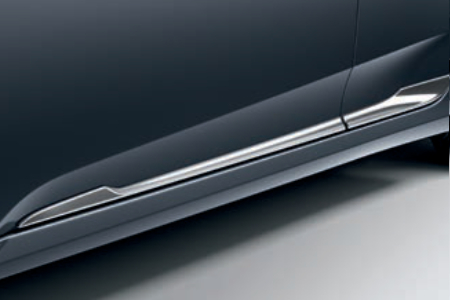 Crafted in brushed stainless steel, these blue illuminated door sill trims are activated when the doors are opened, helping to protect the inner door from marks and scratches. 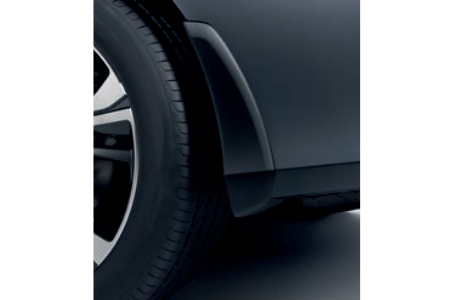 Pack includes: Illuminated front and non-illuminated rear trims. 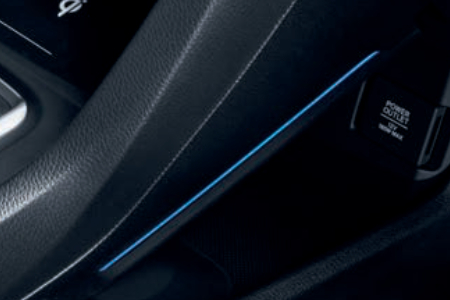 Illuminates the side of the console, bringing subtle lighting to the interior of your car with an ambient blue light. 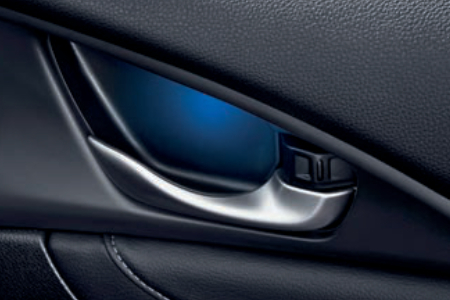 Open the doors and a cool blue light highlights the door handles and pockets. 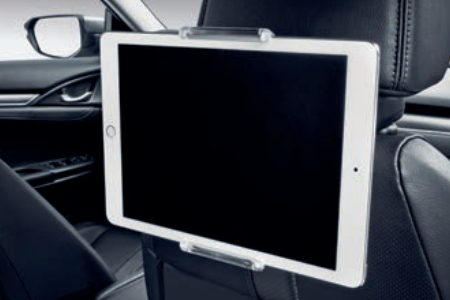 Comes complete with headrest base and fits any tablet from 7" to 11.6". It has a neat tiltable feature so it can be adjusted to the best viewing position. 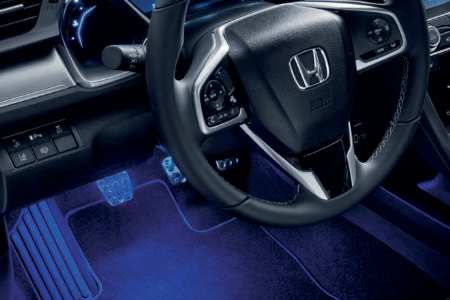 The Honda wireless charger kit ensures your smartphone never runs out of power. Simply place your smartphone on the integrated charging mat for effortless charging without the hassle of wires. 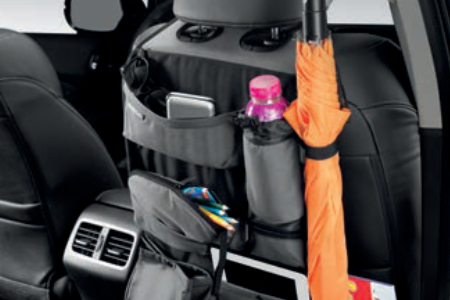 Comes with 13-pin harness and can tow a caravan or trailer with ease. 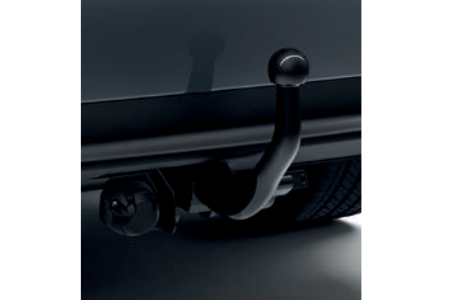 Detachable when not required, with a towing capacity of 1400kg and 75kg vertical load. 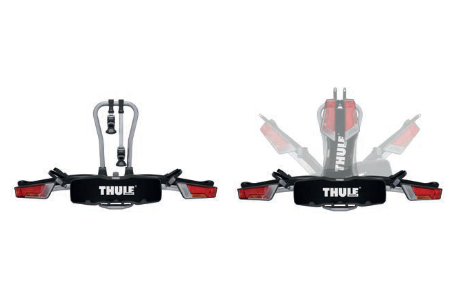 Created by Thule, certified by Honda. This accessory carries two bicycles, it’s easy to install, has a tilting function for easy boot access and an anti-theft locking system. Comes with a 13-pin connector and requires a 13-pin trailer harness. 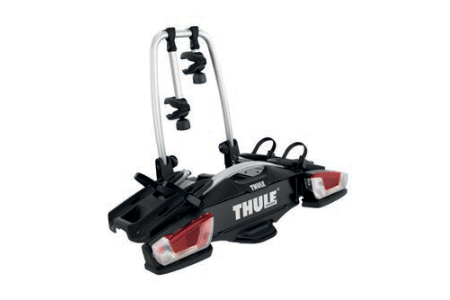 Created by Thule, certified by Honda. This easyfold bicycle carrier does exactly that, folds easily to help with carrying and storage. 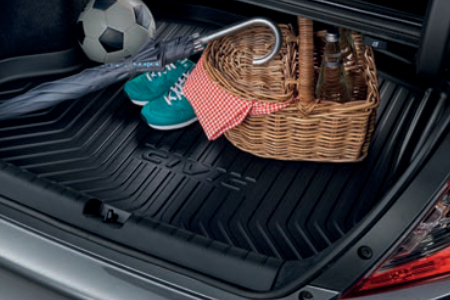 It carries two bicycles, it’s easy to install, has a tilting function for easy boot access and an anti-theft locking system for security. Also comes with a 13-pin connector and requires a 13-pin trailer harness. 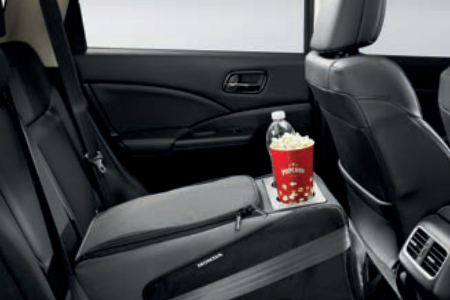 Perfectly shaped to fit your Civic’s storage space, this waterproof, anti-slip boot tray, with raised edges and embossed Civic logo, will protect the boot from dirt and scratches. Helps protect your Civic and following cars from stone chips and spray. 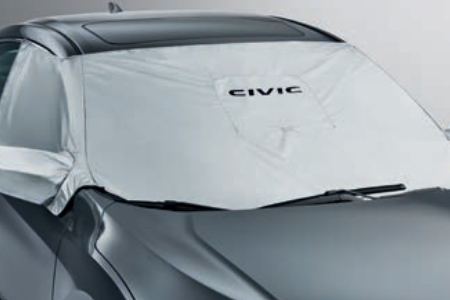 A shield against the elements, this windshield cover will also protect the mirrors and front side windows from heavy weather when your car is parked outside. Features Civic logo. 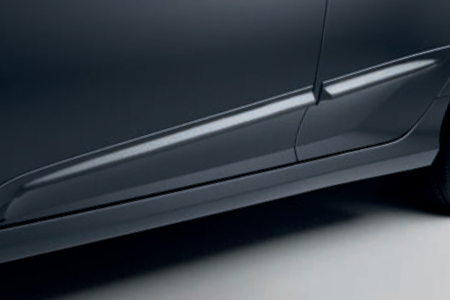 Side body trims emphasise the Civic’s dynamic styling and help protect from scrapes and scratches. 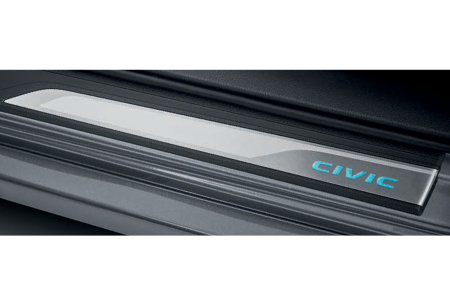 Tough and hard wearing black rubber mats featuring an embossed Civic logo, with a robust lip to add extra protection for your Civic’s interior. Available as front or rear pack. *All quoted prices are subjected to related fitting, painting (if applicable) and VAT.